BitTorrent on Tuesday released the first iOS version of Bleep, its secure messaging app, while Microsoft updated its flagship Office iOS apps with a handful of new features. Bleep requires as little as a nickname to get started, and transmits messages, images, and voice chat directly between users, instead of through cloud servers. BitTorrent also promises end-to-end encryption with keys saved locally on users' devices. New to the iOS app and the latest Mac, Windows, and Android Bleep clients is Whisper mode. Similar to Snapchat, this causes photos and messages to vanish 25 seconds after they're sent. To deter people from taking screenshots, usernames are blurred out during chats until a user taps an eye icon, which then blurs message history. People wanting to find friends using Bleep can add a phone number or email address to their account, or search for users' unique Bleep keys. The app should come to the iOS App Store later today. 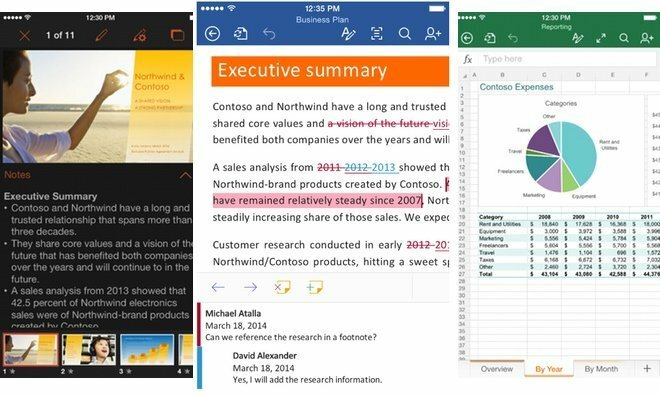 Microsoft's latest Office for iOS updates are minor in scope, but add a few new features worth noting. Word received an assortment of new templates, while Excel gained support for "add-ins," which can expand the functionality of spreadsheets. The latter requires an iPad running iOS 8.2 or later, however. PowerPoint was granted two new features. With the updated app, users can change an individual slide's layout and insert directly-captured photos and videos into presentations. The three apps are all free downloads for iPhones and iPads running iOS 7.1 or later.